Social chat applications are hugely popular these days, allowing people to stay connected on topics they are interested in from all over the world. 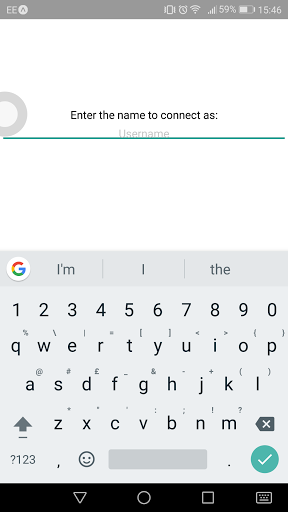 In this article we’re going to explore creating a simple chat app in the React Native framework, which allows us to use the same source code to target both Android and iOS. In order to keep this example simple to follow we’re going to focus only on the basics - a single chat room, and no authentication of the people chatting. The application will work in two parts. The client application will receive events from Pusher informing it of new users and new messages, and there will be a server application that is responsible for sending message to Pusher. You will also need a mobile device with the Expo tools installed - available from the Android Play Store or the Apple App Store for free. This is used to test the React Native application whilst you are still developing it. It works by allowing you to start and host the application on your workstation, and connect to it remotely from your mobile device as long as you are on the same network. We then need to install the modules that we’re going to depend on - express, body-parser - to allow us to parse incoming JSON bodies - and pusher, to talk to the Pusher API. 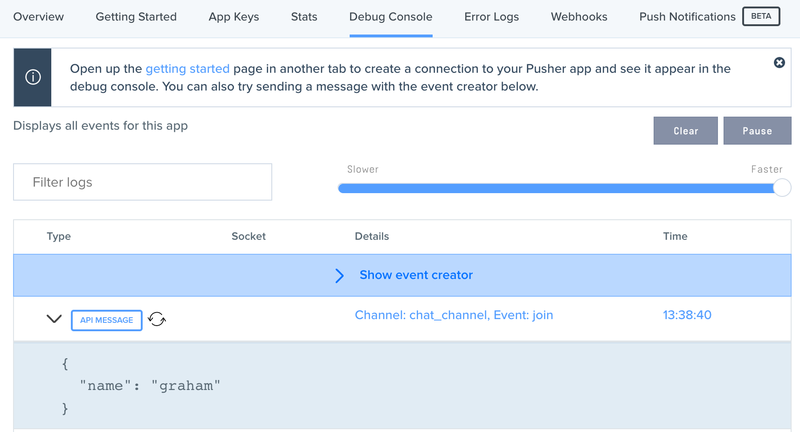 Pusher has native support for Join and Leave notification as a part of it’s API, by leveraging the Presence Channel functionality. 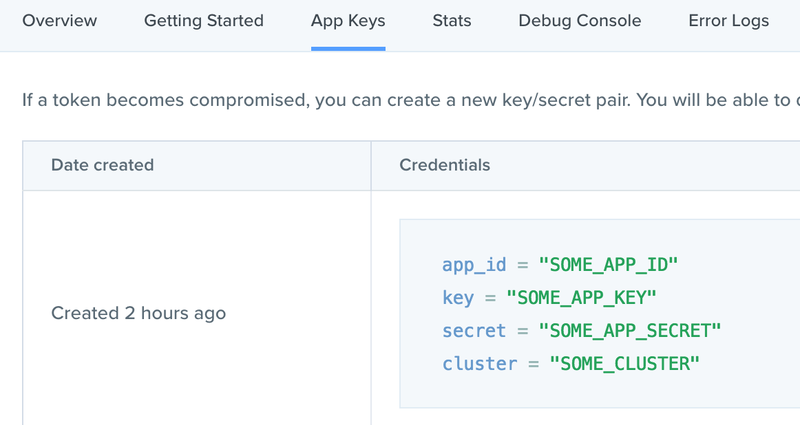 This requires authentication to be implemented before the client can use it though, which is beyond the scope of this article, but will give a much better experience if you are already implementing authentication. Note Why the names join and part? It’s a throwback to the IRC specification. The names aren’t important at all - as long as they are distinct from each other, and consistent with what the client expects. The values used here are exactly the ones taken from the Pusher application config we saw above. 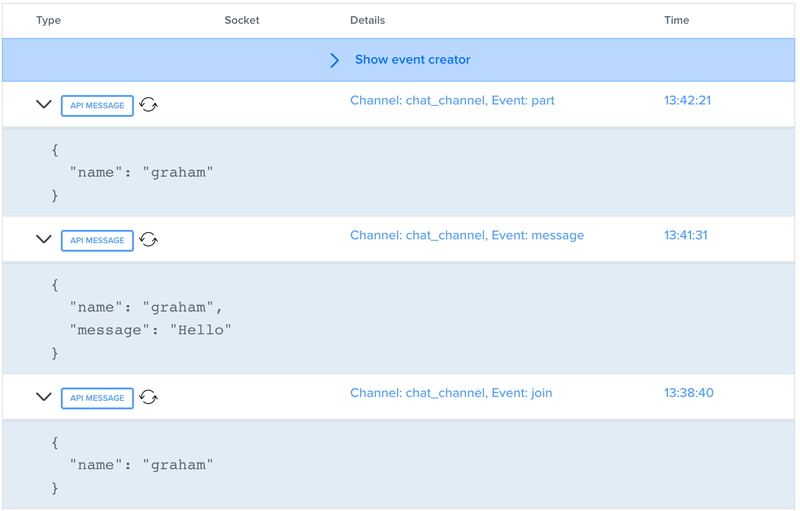 If we then use a REST Client to interact with the server, by sending the appropriate messages to our server. Doing so will cause the correct messages to appear in the Debug Console in the Pusher Dashboard, proving that they are coming through correctly. Creating a new React Native app in client. Using package manager as npm with npm interface. npm WARN react-redux@5.0.6 requires a peer of react@^0.14.0 || ^15.0.0-0 || ^16.0.0-0 but none was installed. The first thing we’re going to need is a screen where the user can enter a name to appear as. This is simply going to be a label and a text input field for now. Once we’ve got the ability to enter a name, we want to be able to make use of it. This will be a Higher Order Component that manages the connection to Pusher but doesn’t render anything itself. Firstly we are going to need some more modules to actually support talking to Pusher. 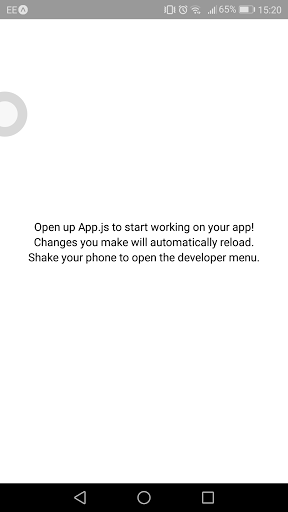 For this we are going to use the pusher-js module, which has React Native support. This is important because React Native is not a full Node compatible environment, so the full pusher module will not work correctly. Note When you actually deploy this for real, the restServer property will need to be changed to the address of the live server. Actually render the messages in the list into the appropriate components. Every message is in a Text component, with the actual text and the styling depending on the type of message. This is simply so that it renders our new ChatView in place of just the number of messages received. 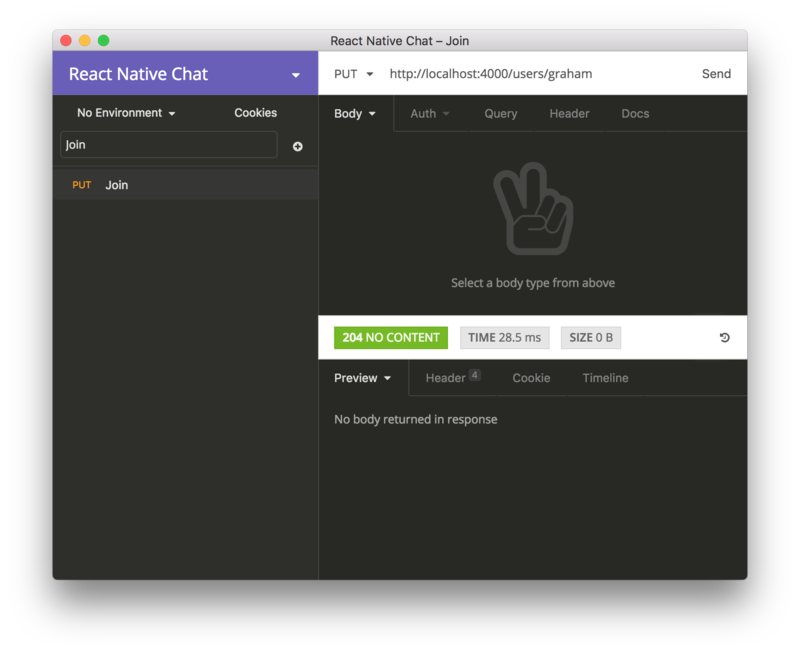 This article has shown an introduction to the fantastic React Native framework for building universal mobile applications, and shown how it can be used in conjunction with the Pusher service for handling realtime messaging between multiple different clients. 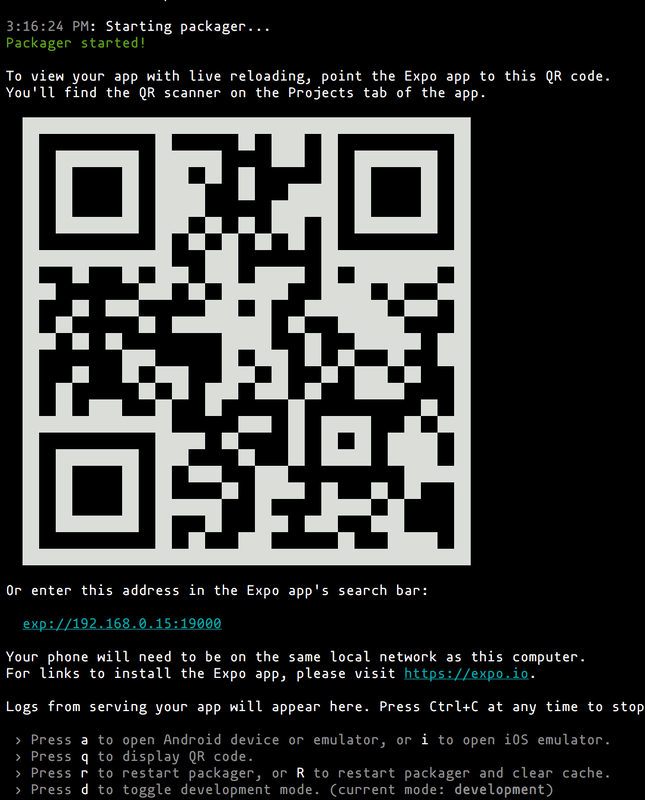 All of the source code for this application is available at Github.